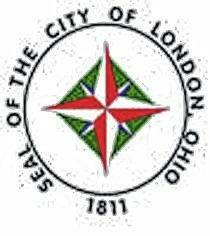 The City of London has voted to secede from the Madison County Emergency Medical District. 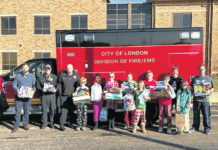 In a vote of 6-1 Thursday, London council approved a resolution to suspend the regular three readings process and pass the legislation as an emergency. The action was taken after a lengthy discussion involving council members, London fire chief, Todd Eades and members of the EMD. The decision came after months of discussion between the city and county EMD. This iteration of the legislation was brought to council in May, but talks of separating the city and county have been going on for years. 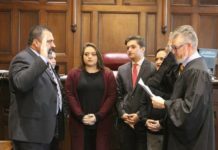 Those who voted for the separation said they were surprised this move didn’t come sooner —including council member Anthony Smith. The secession was initially intended for the November ballot in the form of two levies. Although the levy will still be there for residents to vote on, the actual decision to split was already made. Council member Henry Comer was the single vote against the split. He cited a number of issues, including potential costs, for why the change would be a mistake. “How is London going to pay for this?” Comer said. “It’s going to put undue stress on city finances.” Council members responded saying that, if the levy passes in November, that will generate money for the city but London’s fire department also has enough money to carrying them for the next year or two. EMD members were present at the meeting and cited similar concerns. Council members responded, however, that the disagreements were unfounded. “I hear your concerns, but as councilman Smith pointed out earlier, I think your anger is directed at the wrong people,” council president, Joe Russell said. He and other members of council added that, in addition to saving tax money and creating a more efficient system, the split was also the result of learning about unresolved issues dealing with run cards (lists of emergencies that are responded to) between the EMD and London fire — issues that, according to the city, were asked to be resolved in the past and were ignored. • Approved an ordinance declaring the necessity of planting, maintaining, trimming and removing shade trees along the streets of London. • Approved a resolution requesting the non-collection of the 3 mill levy for the Madison County EMD —legislation that was paired with the original proposal to split in May.